Crypt of the Necrodancer is a game developed by Brace Yourself Games, released on 25 Apr 2015. It's available for purchase on Steam and GOG. 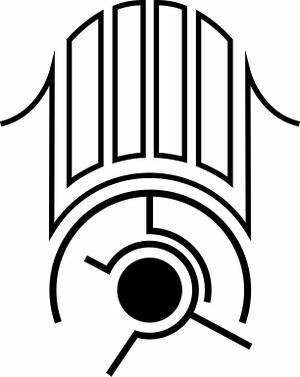 The game contains an eye sigil, making it part of the Eye Sigil ARG. The sigil was added in the update on 29 May 2015. The sigil called "eye.jpg," and was located in the root folder of the game, but doesn't appear in the game in any way. The sigil piece is embedded in the sigil file itself as a GIF image. No complicated steganography is used. The image is in the Exif metadata of the JPEG (some Exif viewers identify it as an unknown APP13 segment). It can be extracted it with any hex editor.